Oliver Leitner, an 18-year-old student from Reno, Nevada, has won a $10,000 Davidson Fellows Scholarship for his project, Localizing Heat with Carbon Foam for Efficient Solar Distillation. He is one of only 20 students across the country to receive this honor. For people living in remote, dry climates, in urban areas with contaminated water supply, or under dire conditions such as refugee camps where fresh water is lacking, simple and cost-effective portable water purification devices can be life- saving. In Leitner’s project, he investigated whether carbon foam pads, which have a high absorption spectrum, would be a viable material to add to a simple solar still to increase its efficiency. Leitner designed a small and inexpensive solar still using the carbon foam that produced a third of a liter of fresh water over the course of one winter day, twice the amount he got from a control without the carbon foam. These results are highly encouraging and suggest that these pads alone could help increase the amount of freshwater available to those in remote areas. Leitner’s interest in renewable energy first developed while growing up in Reno which is ideal for solar energy. This interest was further nurtured after spending two summers living in the District of Vauban in Freiburg, Germany, a neighborhood renowned for its energy-efficiency. It was there where he became hooked on the idea that renewable energy could be integrated into people’s daily lives. 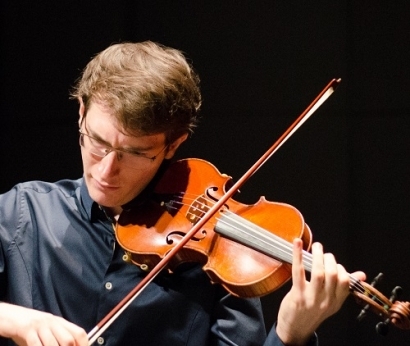 Aside from renewable energy, Leitner practices the violin, as he believes music and science have a deep connection. Leitner graduated from the Davidson Academy and will attend Yale University in the fall. The 2018 Davidson Fellows will be honored at a reception in Washington, D.C., on Friday, September 28. The Davidson Fellows Scholarship program offers $50,000, $25,000 and $10,000 college scholarships to students 18 or younger, who have completed significant projects that have the potential to benefit society in the fields of science, technology, engineering, mathematics, literature and music.